Specialism/s: General school governance, safeguarding, safer handling. leadership. I am an extremely skilled and experienced governor who has supported a wide variety of schools and educational organisations across the UK in my role both as National Leader of Governance (NLG) and as a consultant and trainer for the National Governors Association. I am an established academy trust board director with a depth of knowledge of effective governance practice within maintained schools and academies. I have served as Chair on governing boards of both academies and maintained schools and have provided specialist safeguarding reviews/investigations and advice to the Local Authority DO (formerly LADO). 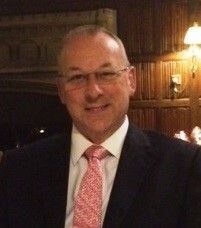 I retired from the police service in London eight years ago as a detective having specialised for 4 years in the investigation of domestic violence and child protection and as a specialist child and vulnerable adult interviewer (ABE techniques) and family liaison officer. I became a magistrate (Northampton Magistrates Court). I have since used that experience when Chairing discipline and exclusion panels and to train governors in this subject. I have undertaken Head Teacher performance reviews in both maintained and academy schools and have significant experience of performance management in both the educational and corporate sectors. I also possess corporate governance experience in both the public and private sectors and I am currently managing director of my own company.